Engaging Diverse Teams | GoWall — Better Meetings. Guaranteed. Our business environments today are melting pots of rich, diverse knowledge. Tapping into this collective intelligence is often the goal and frequently the purpose of meetings. However when bringing together non-native speakers and teams with diverse cultural and linguistic backgrounds, there can be gaps in understanding. 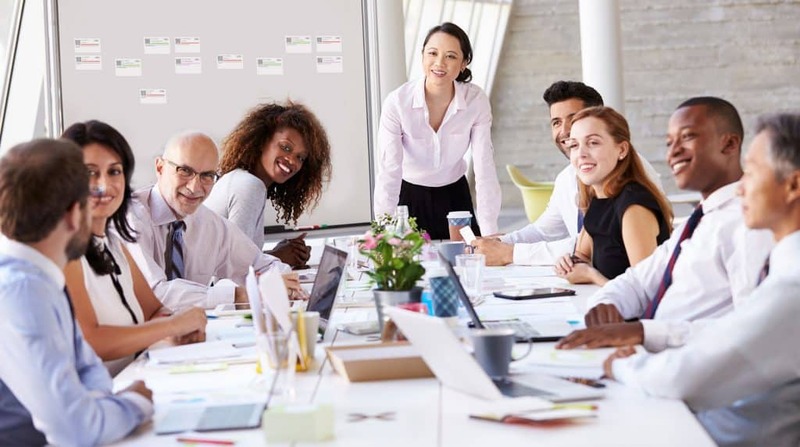 “Speaking the same language isn’t always as easy as it sounds,” making effective collaboration “one of the most persistent challenges in international business,” according to Pamela Rogerson-Revell, author of Can You Spell That for Us Non-native Speakers. Savvy meeting leaders know the importance of bridging these gaps to avoid misunderstanding. 1- Speak slowly and listen deeply: focus on the content and intention of the communication. Pace your delivery and use inquiry to make sure you’re being understood. 2- Avoid idioms, metaphors and jargon: localized references lack context for the broader group. 3- Write it down: capturing ideas in a written form helps validate and clarify communications. Using a tool like GoWall’s digital smart notes technology allows meeting participants from anywhere in the world to easily and quickly contribute their ideas by sharing virtual sticky notes in real time. Click here to learn more.